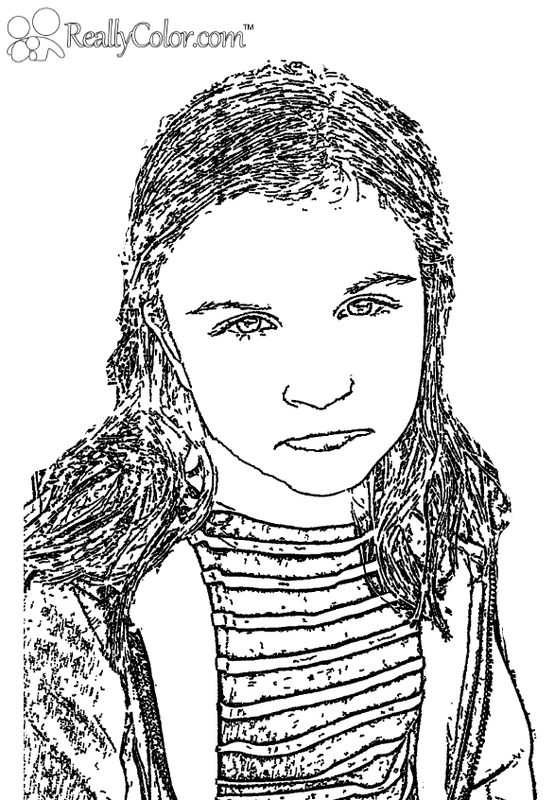 One of our new favorite resources, ReallyColor.com, converts pictures into coloring book pages. Using this technology, we are turning everything in our school into a therapy tool. To help us Better Hearing and Speech Month, ReallyColor.com is offering our blog hoppers 1 free photo conversion(details below). Receptive Language: Given a picture, student will follow 4/5 1 step directions that contain prepositional concepts. Convert pictures of your classroom to coloring pages. Have the child practice coloring in pictures while you give directions. For example, color the book under the table red. Expressive Language: The student will use personal pronouns correctly on 4/5 trials across three consecutive therapy sessions. Convert pictures of students to sketches. Give a group of students one boy picture and one girl picture. Have students take turns giving each other directions. For example, "Color her shirt blue" Or "Make a line under her nose" or "Give him glasses." Articulation: Student will use /r/ in connected speech with 80% accuracy when describing pictures scenes containing the target sound and verbal reminders. Gather things around your tx room that have the target sound. Take a picture and turn it into a coloring sheet. Have the student describe the picture while coloring it, or send the sheet home as homework. Vocabulary: When provided 2 familiar objects, student will provide one similarity and one difference on 4/5 trials. Make your student the photographer! Go on a "hunt" and find two items that have similarities. Convert the pictures into coloring pages. During the next tx session, describe the similarities and differences. Discuss how coloring the pages might change this information. To convert your picture to a coloring page free, go to www.reallycolor.com and enter the code: BLOGHOP until June 15, 2015. Color your world, Really!